Arturias latest synth is another stunner to look at if your a synth programmer and more than lives up to its name. With so many options, its going to be hard to know where to start, but we bet anyone with a passing interest in sound design is going to love getting their hands on one of these. The MatrixBrute features a 100% analog signal path generated by its three oscillator + sub oscillator style design. It features a Steiner-Parker filter along with its ladder filter setup, which are capable of being arranges in series or parallel configurations. Routing is handled by a 16×16 modulation matrix that allows you to assign any of the 16 modulation sources to any of the 16 modulation destinations, offering a staggering amount of control over your patches, the sort of which you’d rarely see outside a full modular setup. Those patches can also be saved for later use, so whilst the MaxtrixBrute might not qualify as a modular function wise at least you get the best of both worlds with control more in depth than most other synths, whilst still maintaining the ability to instantly recall a patch when your performing. Speaking of performing, it has a 49 note controller keyboard with a full compliment of additional sequencer and arpeggiator controls. A USB connection allows you to connect it to the editor and patch libraian software for easy managment, its also fully MIDI controllable and impressively it includes 12 CV inputs and 12 CV outs for connection and control of any modular gear you wish to connect up alongside it. 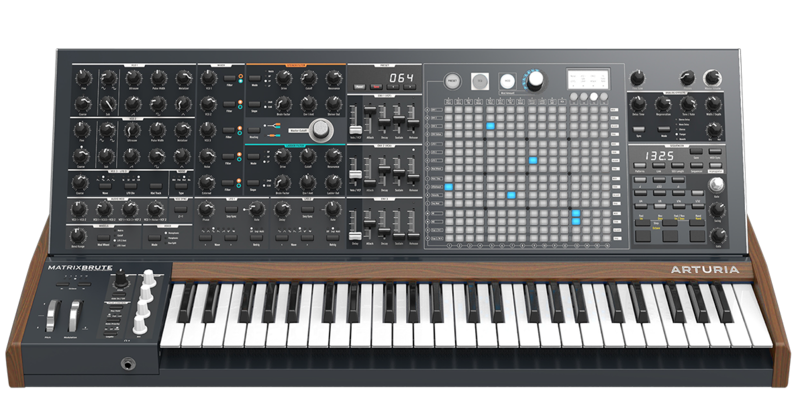 This really is an amazing looking synth, one we’re sure will end up on many a wishlist this year. In the decade or so since the the first reflection filter was released, they have become common place not only with home enthusiasts, but also with pro studios and producers who turn to them as a convenient way of recording in a single room with vocalists, to facilitate a more natural form of recording whilst songwriting. 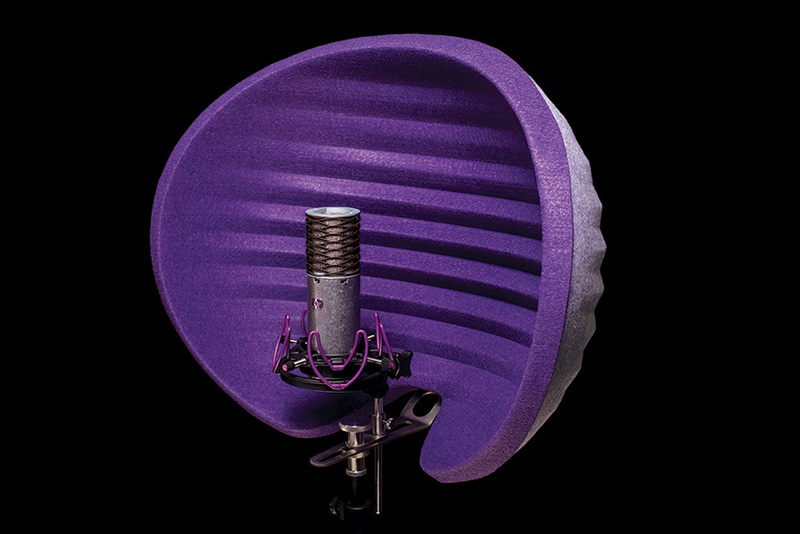 Fresh from the critically acclaimed release of their Microphone range, Aston unleash the mother (if your mother is rather large, as its 40% larger than the current industry leading competitor) of all mic reflection filters, its ridged design almost doubles the surface area and help to redirect any waves that do exist in the reflector away from bouncing back into the microphone. The spherical design increases the angles that the filter protects from reflected sound when recording, instead of working solely on the horizontal axis, as almost all the competition does. Aston claim that all these factors produce a much linear frequency response than conventional filters and these guys should know, as the Aston management spent years working with SE Electronics in the UK, so are very familiar with the performance of the competition and have really gone back to basics to radically re-engineer the reflection filter concept. The filter is due to start shipping in early 2016 at a UK RRP of £199. 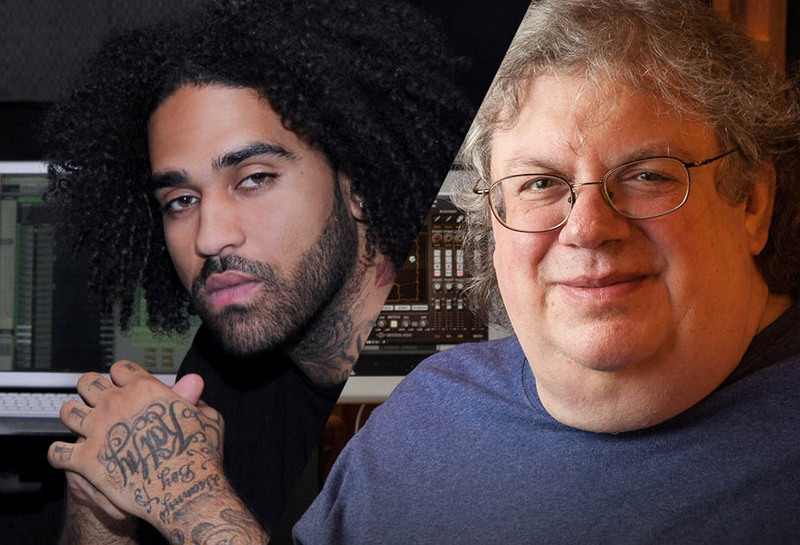 Universal Audio are once again webcasting their producer seminars from the Namm show this week over in Anaheim, with special guest sessions from Christian “Leggy” Langdon (The Pierces, Ed Sheeran), Mick Guzauski (Daft Punk, Pharrell Williams), Derek Ali (Kendrick Lamar, Top Dawg Ent), Vance Powell (Jack White, Chris Stapleton) and UA stalwart Fab Dupont (Jennifer Lopez, Mark Ronson). Sessions start at 3PM (11PM GMT) Thursday and 1PM (9PM GMT ) at the weekend. Session times are as follows. 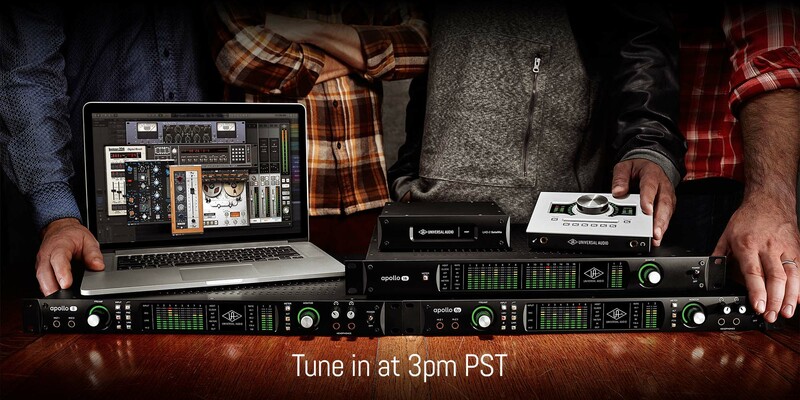 Showcase Apollo Twin and the latest UAD plug-ins. Showcase Track with Big Data. Showcase Track with Kendrick Lamar. Showcase Track with Chris Stapleton. With the now well established Eurorack standard continuing to prove ever popular amongst synth enthusiasts, we’ve seen a number of new units appearing at NAMM in possibly what could be the year of the Eurorack format. Waldorf who are ever at the forefront when it comes to synths have decided to put a new spin on things by introducing the KB37 chasis. This unit is based around a high quality Fatar TB9 keyboard, which can host a total 100 HP worth of modules (around 4 in total) in its angled front panel. What this means, is that Walforf is come up with a design based around a great keybed, allowing you to build your own synth using the modules of your choice. The base keyboard itself provides extremely flexible control for any of those mounted modules thanks to its high-resolution, temperature-stable 16-bit CV interface and the additional MIDI control offers fully programmable MIDI channels and velocity curves, making the kb37 the perfect partner both in the studio and for taking your modules out on stage. Alongside the base KB37 keyboard, Waldorf has a number of new modules to tempt you even futher. The NW1 is based on an advanced wavetable engine, which historically has always been a strong point for Waldorf, so we’d expect good things here. This is backed up by the fact that the NW1 uses the classic wavetable banks from the Microwave & Wave synths of yesteryear. Not only that but the NW1 also lets you easily create your own wavetables right from the front panel via time domain multiple foldover analysis. All you need to do is connect any sound source to the NW1 to transfer audio into a wavetable, or you can even use the integrated speech synthesizer to translate typed text into wavetables! The MOD1 unit gives you three different modulation sources in one module make the MOD1 the control center of your modular patch. From simple envelopes and LFOs to complex looped multi-stage curves, the MOD1 delivers rich and endless modulation options, from gently undulating LFOs to ultra-precise hard cuts, you get it all based on innovative analogue circuits for a truly musical touch. Built around two VCAs with a wide range of options including the most important one: the ability to musically colour the signal. Starting in dry mode, you get high-precision analogue amplification. But then when you turn the Colour knob, you add a warmer and more colourful timbre to the signal based on a finely-crafted state variable filtering circuit. Additionally positive gain control makes the dvca1 a true “amplifier,” and flexible link modes let you create modulated panning. A true high-end analogue compressor not only adds punch to your signal, but it also can be modulated in intriguing and unconventional ways including side-chaining with a adjustable balance control that will open up a huge set of modular possibilities. The Kompaktklavier otherwise known as the Zarenbourg Module, offers the sound engine of the Zarenbourg Piano in a rack unit. Just like its larger cousin, three different sound generators deliver uncompromising quality where physical modeling recreates the classic E-Piano sounds with staggering authenticity. The direct streaming sample playback engine with 4 GB of sample memory provides a selection of fantastic grand, upright and electric pianos. The third sound generation system is a 6-operator FM synthesizer, perfect for classic DX pianos and a variety of other trademark FM sounds. Reverb, Chorus, Flanger, Phaser, Echo, Auto Wah, Equalizer and Overdrive, as well as many effect combinations. Each sound can be freely combined with an effect / effects combination and stored in the internal memory. New sounds and effects can also be added via the integrated SD Card slot. It’s an interesting setup that makes your module collection a little bit more portable than before. If you have the need to take them on stage with you, the KB37 should certainly be seen as an option. Korgs Nano range are well established and its quite likely that anyone with a passing interest in making music, has had a hands on with one of the range over the years. 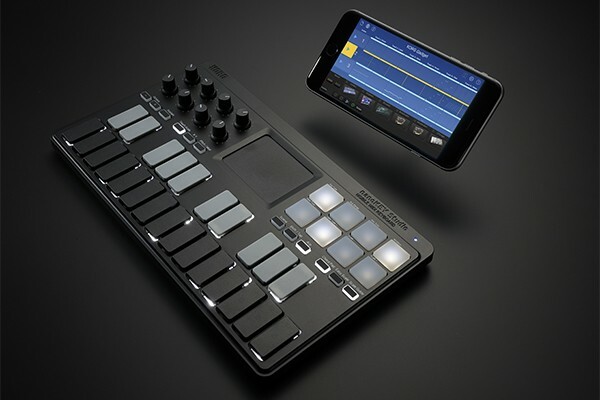 Announced at NAMM are the new NanoKONTROL studio and NanoKEY Studio which take the older features and expand on them, quite noticeably with the inclusion of Bluetooth to allow easy hook up with portable devices like phones and tablets. Including 8 buttons and 8 knobs along with a touch sensitive pad inherited from the Kaoss series, this 25 note controller offers plenty of hands on options. The nano Studio series also comes with a bundle of powerful mobile and desktop music software that includes iPad / iPhone apps, a special edition of KORG Gadget, and the KORG Legacy Collection M1 Le which includes a plug-in version of the classic KORG M1 instrument. If you have the nanoKEY Studio, there is no need to buy any additional software. Both controllers should be available before the end of Q1 this year. Denon ahead of NAMM this year have announced the MCX8000 DJ controller. Whilst it isn’t the first time that we’ve seen all in one (laptop not required) controllers, and certainly Pioneer already has a few well established options here, the MC8000 comes in at a great price point and knowing Denon gear it should be a solid controller. 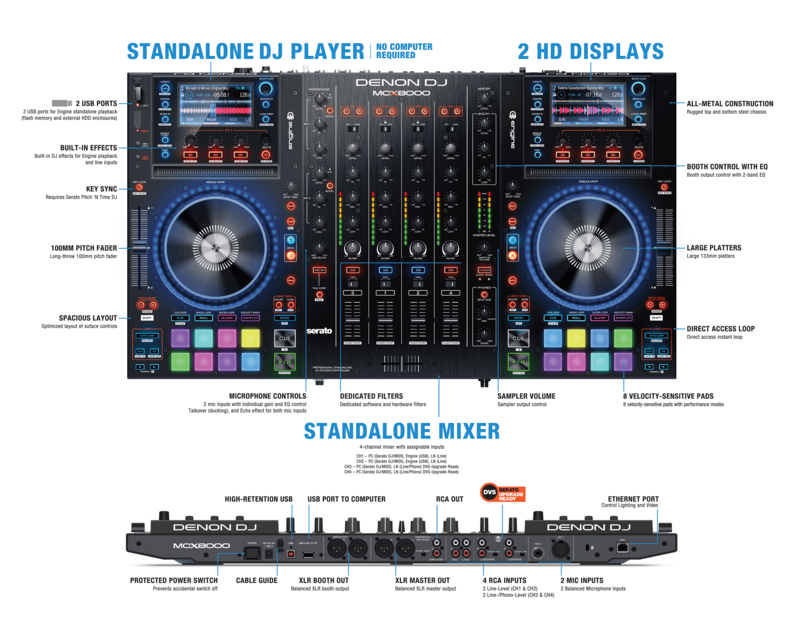 Essentially a full mixer and MP3 playback system that only needs USBs drives to run, as well as a fully featured Serato controller. Shipping Q2 this year with a RRP of £899, we’d expect it to street a bit below that, and for the features on offer, this is certainly an exciting solution that we look forward to getting hands on with when we can.